This is my teaching time of year, and between that and attending a conference in England the week before last, I have had precious little time for observing. But I did get out this week for half an hour to take some pictures of the full moon. 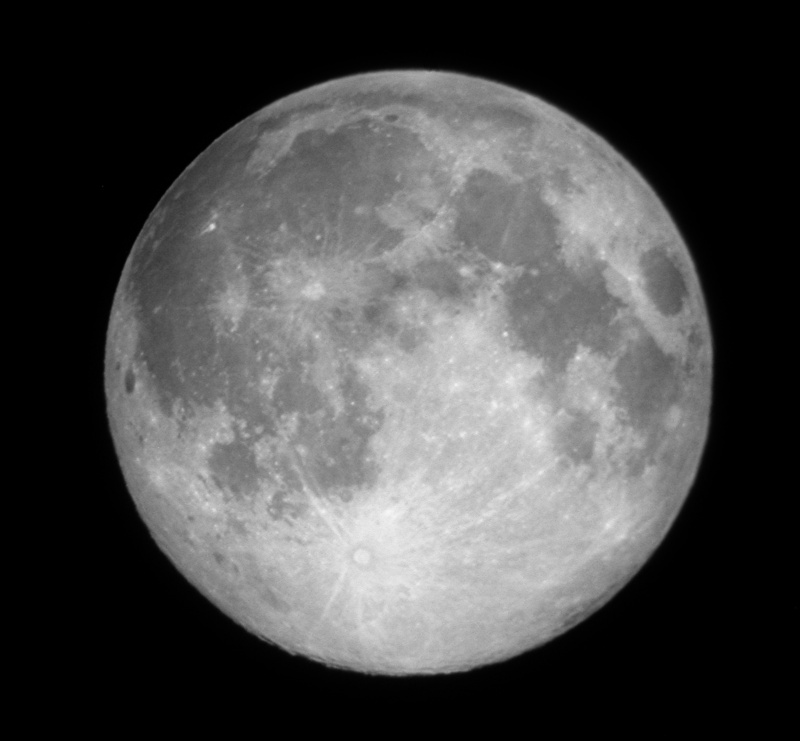 Not nearly as detailed and sharp as some of the others I’ve taken in the past, but most of those were taken with 6-10″ scopes, and this was taken with my 2″ SV50. Now that moon is on the wane, every night will be better and better for observing comet Harley 2, which is cruising through Cassiopeia right now. S&T has a nice page with info on the comet and finder charts. I haven’t looked for it yet, but it’s on my to-do list. Finally, the fourth installment in my series on the world’s largest telescopes appeared in this month’s PVAA newsletter. This link will be good for the next three months, after which it will be available on the Nightwatch archive site. Hi my name is Jo Leigh Buckner i was wondering if I could have permissiontouse this picture for a project in my computer class. It would be greatly appreciated. Hi Jo, sure thing, just please credit me for the image. Good luck with the project!